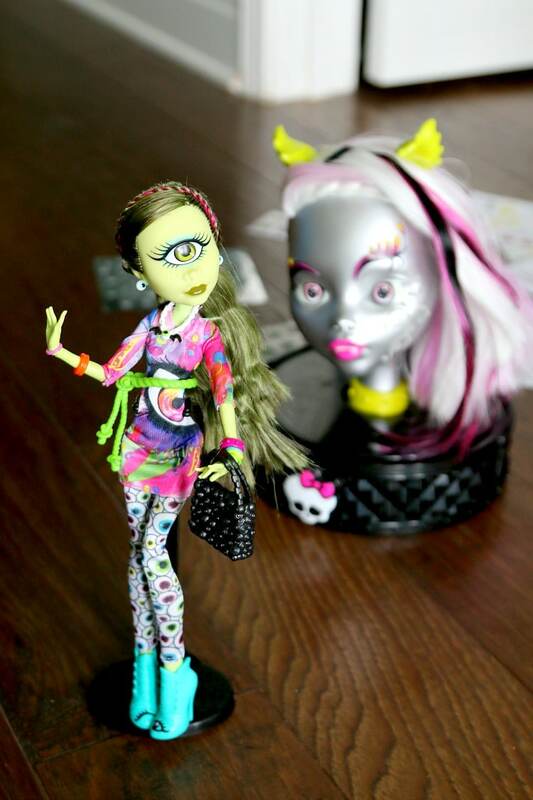 Monster High Create A Monster Head Review: Fang-tastic Fun! Looking for the PERFECT Monster High toy to add to your Monster High Fantatics Christmas Wish list or perhaps a newbie that has just fallen in love with this Gore-geous dolls? Look no more as I introduce you to two new toys that are taking playtime everywhere by storm and help you decide if these should be under your tree this year! You will love: The Monster High Create a Monster Head ended up being cooler than I thought it was going to be. It has hoards of accessories and a great cubby to store the pieces for another play time. There are quite a bit of “looks” that peel off and can be used more than once (with care) to decorate and redecorate the doll, making the fashion seemingly never end.This reminded me of other “play” heads but a lot more entertaining. My 4 year old son could not keep his hands off the Monster High Create a Monster Head the entire time we were playing, so I would say its a versatile toy. Monster High Fan will love: It lights up! Put her back in her jar to see her light up, which is a cool feature. Girls now a days are not all pink and frilly. They love designing and creativity and the Monster High Create a Monster Head provides both of that. 33 accessories, earrings and even horns on top of the head make this an unusual, but fun, gift. And with this being an exclusive at Toys R Us, this is a really special toy. Charlotte said: “This is the greatest day of my life!” while testing this toy. She was 100% in. She asked me to mention that when you peel off the stickers from the base, if you don’t peel carefully you will tear the card itself. You will love: This doll is bright, beautiful and a bit endearing if I am being honest. You will love her straight up cool fashion and how reasonable her price is. At only $19.99 (at time of article) she is a good fit for an every day play toy for your Monster High Fan. Also her unusual facial structure will make you feel like you are buying some unique and not just “another” doll. 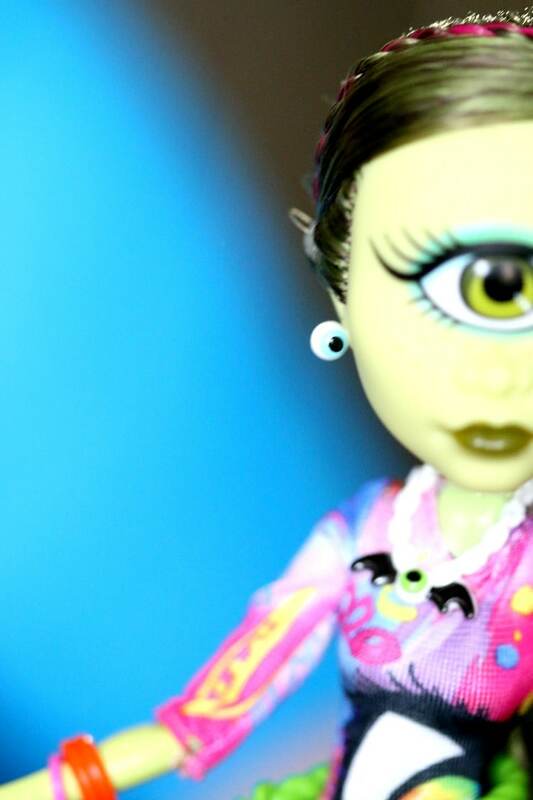 Monster High Fan will love: As with all Monster High Dolls, Iris Clops comes with some awesome accessories. Your Monster High fan will love the huge center eye, the eye earrings and the eye pants, making it an EYE-MAZING doll to play with! Are you ready to win? I am so excited to share, as part of this post, a fantastic giveaway. I wish all of you luck!